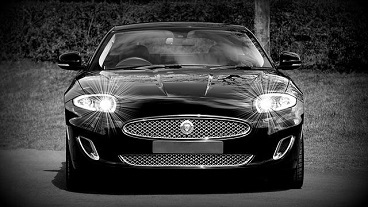 If your car has suffered what you might consider to be superficial damage (for example, a dent or completely smashed grille), you might think that it’s perfectly fine to continue using your vehicle as normal. However, you should think again. Just because a car is in mechanically reasonable condition, it doesn’t mean that it is still safe to drive. Some types of exterior damage qualify a car as being in “dangerous condition” – as in, your vehicle could be a threat to yourself or other road users. Driving with this sort of damage is illegal, and if you continue to drive your car on the road without rectifying the situation, anything could happen – so it’s always best to arrange for a replacement to be fitted. At Zunsport, you’ll find all manner of custom grilles, stainless steel car grilles, chrome car grilles and woven mesh car grilles to suit your vehicle. Why Is A Cracked Or Damaged Grille Illegal? A damaged grille could have jagged or broken edges which could seriously harm a person if they were to come into contact with it. This includes when your car is parked or otherwise stationary. If a person was to brush past the front of your vehicle while making their way through the car park, they could get a nasty scrape or cut. If your grille is damaged, there’s also the potential for parts to come loose while your car is in transit. These parts could strike persons or other vehicles, or cause accidents as a result of another road user swerving or braking sharply to avoid driving over debris that has come away from your vehicle. If your grille is damaged avoid putting yourself and other road users at risk by simply being proactive and arranging for a new grille to be fitted to your car. A new grille will increase the value and potentially the longevity of your vehicle, so why not take a look at what Zunsport has to offer?